“So today we had our annual Diva Day tournament, with 144 Ladies playing in the event. It’s a women’s tournament we’ve had for the last eight years. Our core group of women are members of the “Diamonds.” They got together and wanted to create fellowship amongst the community so they’ve put on this tournament each year. We called it “Divas” and it started out as something called the “wicked witch Divas” and everybody came dressed up as a with in their best costumes. We had a great time that first year and from there it has snowballed. 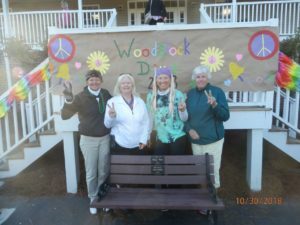 So now we have done “NFL Divas”, “Sock Hop Divas”, “Wild West Divas” and this year is the “Woodstock Divas,” so we’re back in the hippie days. We really try to do this event up right. The ladies get a continental breakfast in the morning, and then they have some mimosas during the day as they’re playing. When they finish their round, we have a buffet lunch ready for them, along with draft beer and ice cream for dessert. They can make hot fudge sundaes and they just have a blast with it. The Diamond Women’s Club is a group that formed here at Diamondback and they are a fun, active group that is about 60 ladies strong now that play every Wednesday. It’s great to have them here and they come in when they’re finished playing and joke and carry on about how good or bad they played and its just good camaraderie and fun with all the women. Well said Patrick. 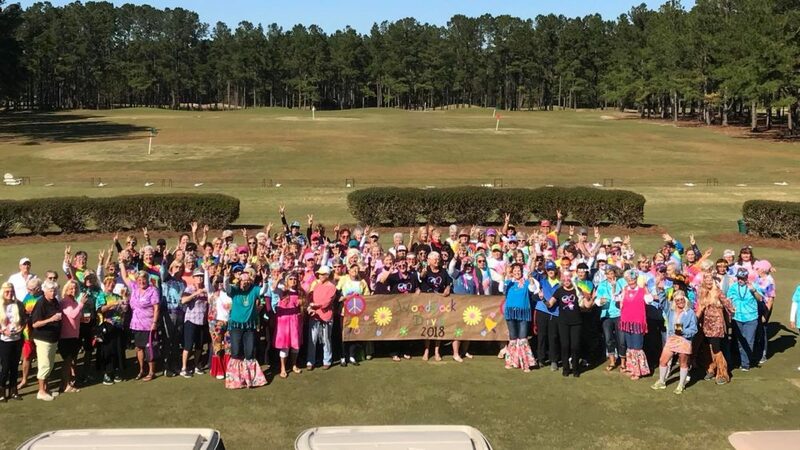 For more information about being a member at Diamondback Golf Club, check out our membership page or call us at 843-756-3264.